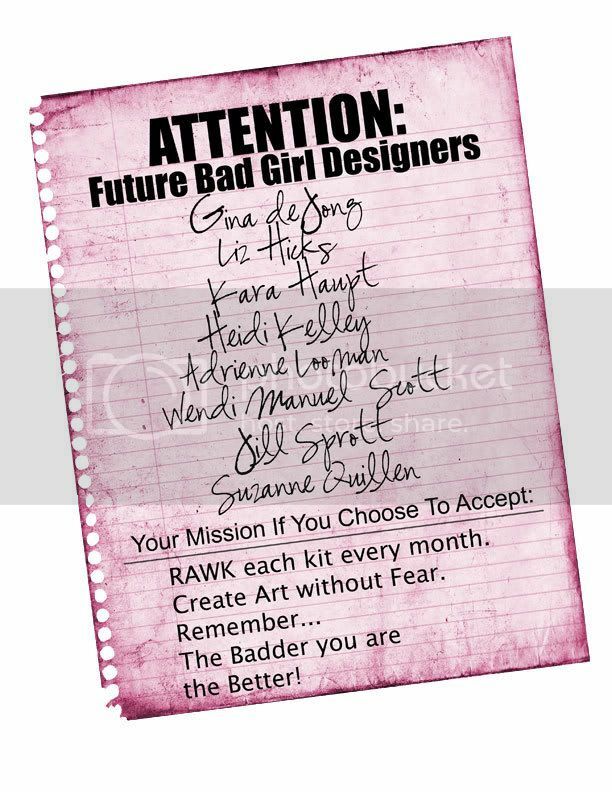 We have 8 new designers for Bad Girls in addition to the 6 of us already there... WOW! Wendy really out did herself. Some BIG BAD names too! Here's the new additions: Come on over to wish these lovely ladies Congrats! I am very late in posting my Fab five favs! Well, better late than never! 1.Prima fluttering butterflies... Just gorgeous and I can't wait to get some of these. 3. Banana bread with chocolate chips. I made some yesterday and it was delish... My DH and son love this stuff so much! 5. Faux fruit... 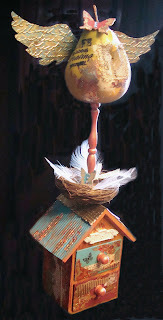 I'm on a roll with mixed media sculptures. I am working small scale now and loving it. 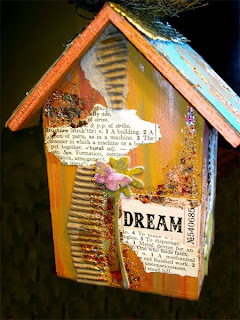 Here is my project from last week's Project 52 blog... "Nesting with My Secrets"
I'm working on a series of these. They are very meaningful to me symbolically and as a mother. I am truly feeling homey and nesting. It's been a theme of mine for awhile. 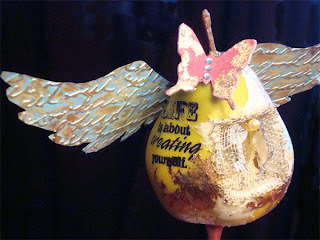 Great project Jen-and I love those butterflies too!! !